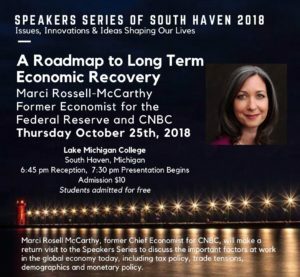 Marci Rossell McCarthy, former Chief Economist for CNBC, will make a return visit to the Speakers Series to discuss the important factors at work in the global economy today, including tax policy, trade tensions, demographics and monetary policy. McCarthy electrifies audiences nationwide by taking complex economic issues and making them relevant to people’s lives, families and careers. 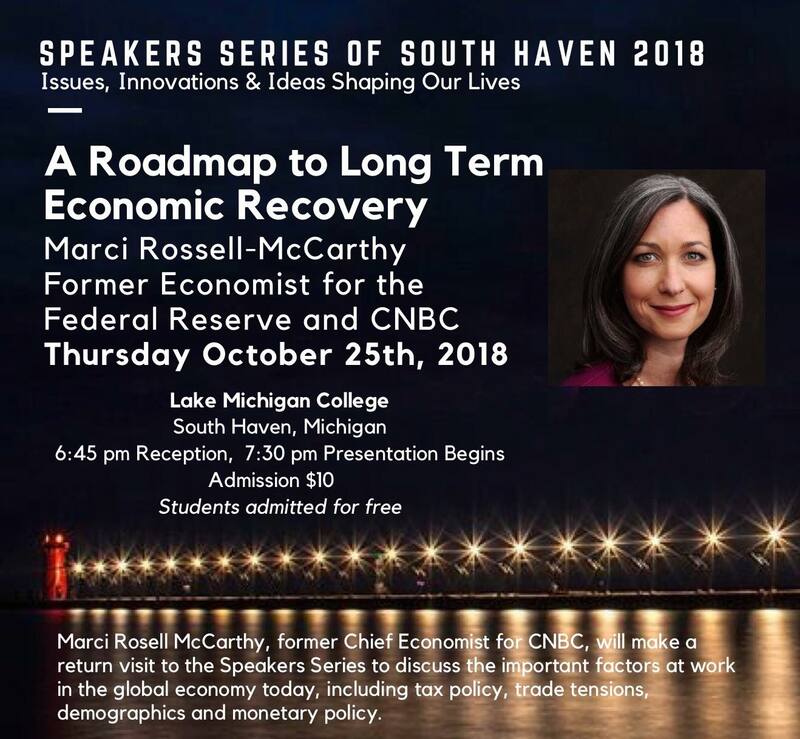 SOUTH HAVEN — A nationally known economist who served as chief economist for CNBC will be featured at the final presentation of the 2018 Speakers Series of South Haven. 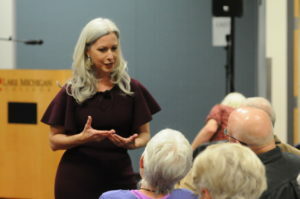 Marci Rossell McCarthy is scheduled to talk at 7:30 p.m. Thursday, Oct. 25, at Lake Michigan College’s South Haven campus, 125 Veterans Blvd. Doors will open at 6:45 p.m. with a wine and cheese reception with the speaker, which will be followed by the presentation and a question and answer session. Admission is $10 at the door. There is no charge for students, teachers and clergy. “Marci will discuss the most important factors at work in the global economy today, including tax policy, trade tensions, demographics, and monetary policy,” said Mark Odland, president of the Speakers Series. McCarthy has earned kudos from audiences for helping people see in plain terms how complex economic issues affect people’s lives, families and careers. This will be McCarthy’s second appearance at the Speakers Series. 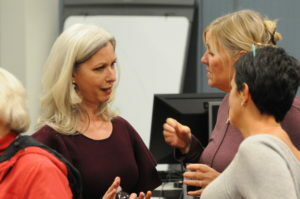 Her first appearance occurred in 2015, and she was well received by the audience, Odland said. Her animated and engaging speaking style was honed when she served as the popular chief economist for CNBC. 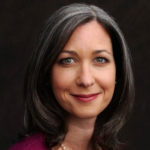 Prior to her broadcasting career, McCarthy served as corporate economist and investment spokesperson for Oppenheimer Funds, one of the nation’s largest mutual fund companies. Before moving to Wall Street, she was an expert witness for Deloitte and Touche in court cases involving economic issues. McCarthy began her career as an economist with the Federal Reserve Bank of Dallas. She earned her Ph.D. in economics from Southern Methodist University, where she was named one of the Young Alumni of The Year in 2002. 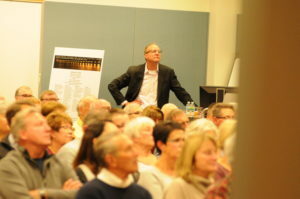 The South Haven resident speaks nationally on the economy to groups such as the U.S. Chamber of Commerce, PricewaterhouseCoopers, the National Council of Farmer Cooperatives, and Wells Fargo. 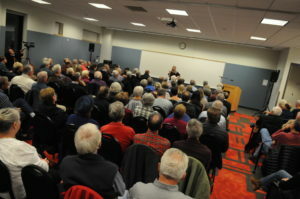 The presentation “A Road Map to Long Term Economic Recovery” by Dr. Marci Rossell McCarthy was well attended. Here’s some photos from the event. The audio turned out a little low due to technical difficulties. Please turn up your volume.